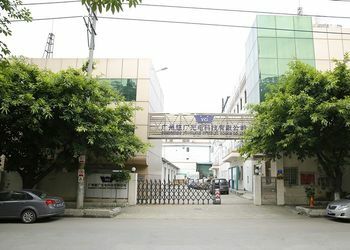 Guangzhou Youguang Optoelectronic Co., Ltd. , sub-company of Taiwan Wahlee Group, was founded in 2000. 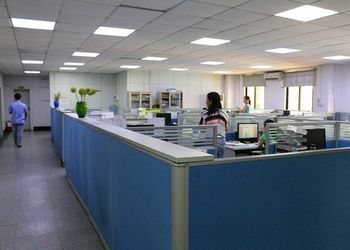 It’s a LED and LGP (light guide panel) integrated application high-tech enterprises. The company has total investment of US$ 6 million, 5000 m2 production plant, advanced equipment, excellent management team, strict management system, firmly complied ISO9001 quality control system. 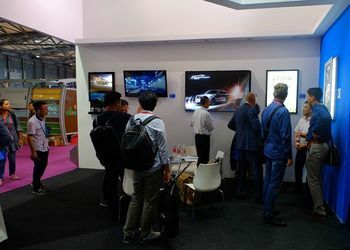 The company Integrated R & D, production and sales in one unity and has become an excellent company in the field of LED advertising displays, LED lighting and LGP industry. Main products of the company are LED slim light box, LED thin-film light box, LED arc light box, LED waterproof light box, Solar LED light box, LED scrolling light box, Solar trash light box, LED crystal light box, LED display cabinet, LED edge-lit light panel, LED back-lit light panel, LED light module, Various shaped LGP, display stands, poster holders, A-board displayers ..etc. 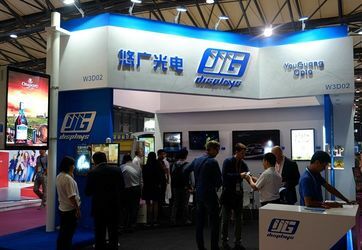 The company’s brand name of displays product, YG DISPLAYS, and brand name of lights product, YG LIGHTING, has been well received by the market.
" innovation - driven” "market - oriented” “service - oriented” is our core business approach. Coupled with solid R & D team and strong customize ability, our products have been widely sold to the United States, Europe, Japan, New Zealand and Australia..etc. in these years. And also widely used and recommended by the customers in China in the area of airports, metro stations, department stores, brand stores and upscale dining..etc. With the banner of GROUP core value of “Trustworthiness, Enthusiasm, Respect, Knowledge Transfer, Innovation”, we believe that YouGuang would be in the position to fullfill your requirements. And wish you have an enjoyable experience in dealing with YouGuang. In 2010, the professional lumen test machine was brought in, we can directly view and compare the lighting efficiency of the LED products. In 2016,the laser dotting machine was brought in. 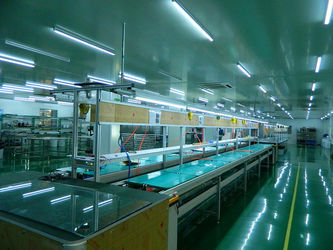 The light guide plate production lines were extended. From 2010 to now, our company would attend the international exhibition fair in China every year, to introduce our new products to customers, such as Shanghai C-star and Guangzhou ISLE. We fit to provide timely and professional service based on every customer's special requirements. Our sales depatment can keep on contact with you through all the procedures from inqury to delivery of the cargoes, all the sales members can speak fluent english, to slove all the problem you may face with. We also have seasoned research and development department, the drawings and details would be forwarded to you for your checking before our production of the goods.Customization is available. Perfect after-sales service system to solve all the potential issues.
" innovation - driven” "market - oriented” “service - oriented” is our core business approach. The research and develop team is our most important department in our company, customers requirement can be satisfied by their corresponding design, and they are experienced engineers for more than 10 years. We also have a strong sales team to keep in touch with our customers all around the world, and their responsibility is fully understanding the unique needs of different customers and sharing the ideas with our R&D team, then bring our excellent products to our customers at last. Meanwhile, we have strict and responsible QC team, they will check each batch products in many details and professional equipments once they are finished, the high quality was ensured by this way. All the teams are in cooperation together for better service for you--our customers.